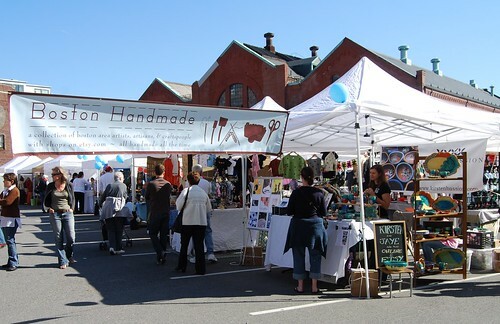 The sun shone brightly and people came in droves to shop and browse at yesterday's SoWa Open Market. The venue bustled with locals and tourists alike; picture perfect weather making this well established weekly event the perfect destination for an afternoon stroll. 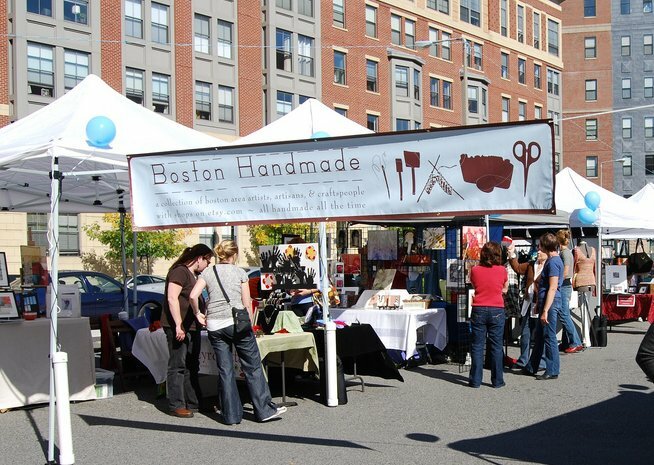 Boston Handmade was out in force with a dozen tents and over 20 tables, showing off wares ranging from photography, toys, jewelry, fiber arts, ceramics, home accessories and apparel. Many members are regulars at this happening summer market, but for others it was their first opportunity to show market goers their work. By all accounts the days was a resounding success! Thanks to Chris at the SoWa Open Market for your support of Boston Handmade and an extra special thanks to Kelley Morris & the Fallen Free and Joe Rich for providing shoppers with lively entertainment to accompany them while they perused the wide variety of goods on display! What a fabulous way to send off summer! 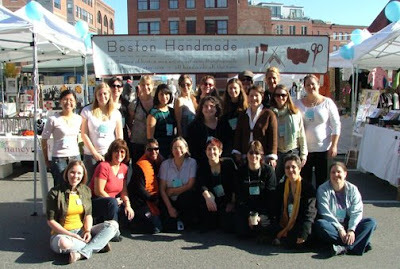 The SoWa Open Market runs 10am-4pm on Sundays through October 26th. You go girls!!! What a great group shot! Congrats! Looks like you had a lovely day!